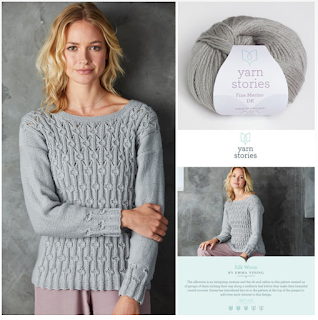 Yarn Stories have recently announced their autumn collections of new patterns. I am delighted to have designs in both the Fossilisation and the Insects and Invertebrates Collections! 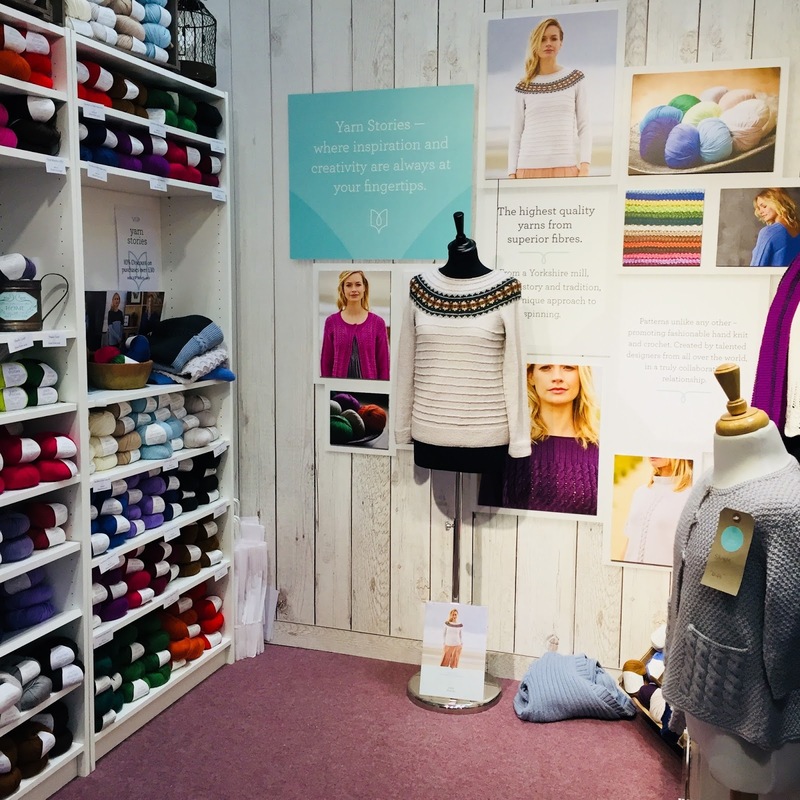 Cycad is knitted in wonderfully soft Fine Merino and Baby Alpaca DK, This open front cardigan combines a herringbone stitch and eyelets to create long fronds reminiscent of a fossilised fern. I love the change of scale in this design and the way that the fronds gradually emerge from a dense pattern of background ridges. My Silk Worm sweater has a rib-based design. The twisted stitch pattern is worked throughout the sweater. For the upper body, the pattern opens up with the addition of a lace background. The gorgeous yarn is Fine Merino DK in Lunar Grey which is perfect for the delicate stitch definition of the twist and eyelets. It was so nice to catch up with the Yarn Stories Team at The Knitting & Stitching Show at Alexandra Palace last weekend. 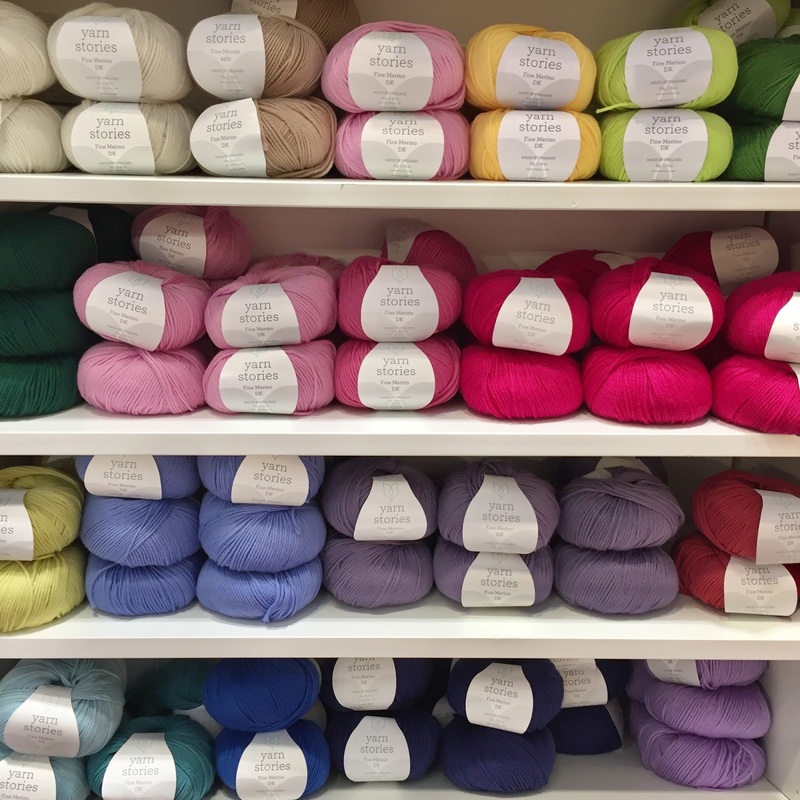 The stand looked amazing and just look at the gorgeous shades of yarn they brought along! 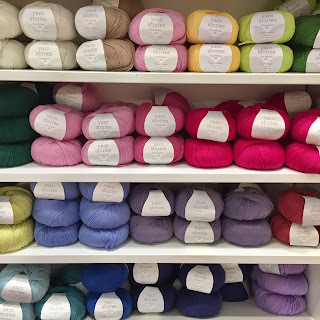 You can see the full selection of yarns and shades here and read more about the inspiration behind the new collections on the Yarn Stories Blog.